Mr. Church serves as Chief Investment Officer for APRC. 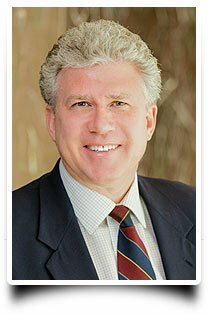 David is also a managing director at Philadelphia Private Capital, LLC ('PPC'). Mr. Church has over 25 years of experience in construction & permanent lending, underwriting, loan production and asset management. Prior to joining APRC, Mr. Church devoted two years to CMBS work-outs as an asset manager for a CMBS Special Servicer; asset types included retail, office, industrial, hospitality and multifamily. He negotiated with borrowers, engaged appraisers and brokers, generated valuations, toured and evaluated properties, modeled investment returns for bondholders and presented recommendations to investment committee. Immediately prior to this experience, David modified and restructured commercial real estate loans as a Senior Vice President at National City Bank (PNC Financial Services). Mr. Church's underwriting experience includes over four years as the chief underwriter for a Fannie Mae DUS Lender where he led the underwriting team and was instrumental in the approval of over $2.5 billion in multifamily loans (conventional, age-restricted, dedicated student housing, manufactured housing, Section 42 affordable, independent living and assisted living). He coordinated with the production, closing and asset management teams, presented loan opportunities to investment committee, traveled nationally to meet brokers and inspect properties, and engaged, reviewed and accepted third-party reports. David earned an undergraduate degree from Washington & Lee University and a Master's degree from The University of Virginia. He has served as a co-chair of the Southern NJ Committee for the Urban Land Institute Philadelphia, a member of the Moorestown, NJ Open Space Committee, president of the Washington & Lee University Alumni Chapter in Philadelphia and is a member of the Washington & Lee Alumni Admissions Committee. He earned the CCIM Designation and holds a real estate sales license in the State of New Jersey.